Prepared, 2003, by the Champlain Valley Unitarian Universalist Society’s Committee on Ministry, Tom Moser, Ann Ross, Artley Wolfson. Approved by congregation, 2003. The right of conscience and the use of the democratic process within our congregation and in society at large. The goal of world community with peace, liberty, and justice for all. 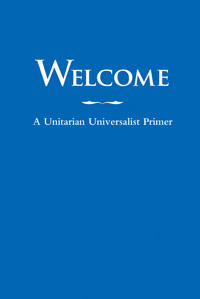 See Welcome To Unitarian Universalism and Our Principles for more information about Unitarian Universalism and a fuller version of the Seven Principles. We, the members of Champlain Valley Unitarian Universalist Society, covenant with each other and affirm our spiritual commitment to practice wise, truthful, and kind speech in all aspects of congregational life. Committed to Unitarian Universalist principles, we worship, learn, celebrate, mourn, and play together, creating an ever-changing congregation based on shared ministry. In shared ministry, words are the primary means by which we express our faith, our ideas, our intentions, and our commitment to each other. Words have the power to heal or to harm, to clarify or to confuse, to facilitate or to obstruct. The well being of CVUUS, its members, and its friends depends on the way we speak our thoughts and share information. Ultimately, the way we communicate is as critical as what we decide. When CVUUS was small, communication was relatively easy and direct among the few individuals who shared congregational responsibilities. As CVUUS changes and grows, so does the need for timely, effective, safe, positive communication. In our larger, more complex congregation, we need to develop new communication strategies, habits, and instincts. We need to refine our culture of communication and to make It explicit so that we all share a common understanding. Toward that end, the CVUUS Committee on Ministry offers this communications covenant with queries for self-reflection as a guide to communications throughout our congregation. Do I recognize that good communication begins with me? Do I use my words positively to inspire, to help, and to lead? Do I avoid the temptation to criticize, chastise, or complain? Do I use language that is sensitive to people of diverse theologies, racial, ethnic, and cultural backgrounds, genders, sexual orientations, and ages? Do I speak sensitively about people of other faiths, persuasions, and practices? Do I inform, in timely and foresighted fashion, all the people I work with—the minister, the Board, the staff, committee members and chairs—of all news, proposals, activities, projects, proposed agendas, decisions, and other information that will affect them, their responsibilities, and their work in behalf of the congregation? Do I communicate with voice, words, and body language that create a positive atmosphere and foster understanding? Do I listen actively with expressions and body language that convey care, concern, support, encouragement, and true desire to discern the other’s intent? Do I foster healthy congregational relationships by maintaining confidentiality and safeguarding others’ personal, sensitive, or vital information? Do I refrain from careless remarks about others? Do I communicate personal or private information about a third party only when it becomes absolutely, obviously, and ethically essential to share it with another person to ensure the well being of all? Do I obtain permission to share personal information about another person in his/her absence? In disclosing this information to any other person, do I make clear that this permission has been obtained? Do I respect and use the parliamentary process or any other mutually agreed upon method of discourse while conducting committee or group activities? Do I engage in creative brainstorming as a method of neutrally generating ideas and exploring possibilities? Do I refrain from debate, censure, rebuttal, criticism, attack, or recrimination while other people are brainstorming? Do I insure that the words and ideas of reticent, hesitant, and quiet speakers are heard as clearly as those who speak easily, quickly and emphatically? Am I patient and helpful with those who are learning or struggling to communicate effectively and sensitively? Do I balance the need thoroughly to explore and communicate all opinions and options with the need to make timely decisions and take timely action? Do I assume my share of responsibility for the tenor and tone of committee meetings, small group meetings, and public worship? Do I trust and participate in the process of consensus building? Do I do my best to understand how and why decisions have been made? When I disagree with decisions made by mutually agreed upon methods, do I do my best to support and abide by those decisions? Do I use and invite feedback from process observers, selected by mutual agreement, to review and assist communication during meetings? Do I respect decisions identifying who speaks officially for a group when making statements outside the group, especially outside the congregation? Do I speak for myself? Do I communicate directly with Individuals to resolve misunderstandings with them, rather than criticize or complain about people In their absence? Do I accept others’ direct efforts to resolve misunderstandings with me as honest intentions to build trusting, caring relationships? Do I avoid, discourage, and decline to participate in triangulation, that is, listening to or receiving gossip or complaints about other people? Do I avoid manipulative communications? Do I encourage others to engage in direct problem solving. positive communication, and personal healing? Do I generously assume and affirm other people’s best efforts and intentions? Do I forgive others when they have communicated less skillfully than intended? Do I recognize and apologize when I have communicated unwisely? Do I seek help and advice from our minister with communications dilemmas, questions and challenges? Do I ask for help from the Committee on Ministry when I’m unable to resolve misunderstandings directly with another person or group of people? Do I follow congregationally approved conflict resolution procedures? Do I communicate truthfully, wisely, and kindly so that peaceful problem solving will prevail in our congregation, in our community and, by extension, in the wider world?